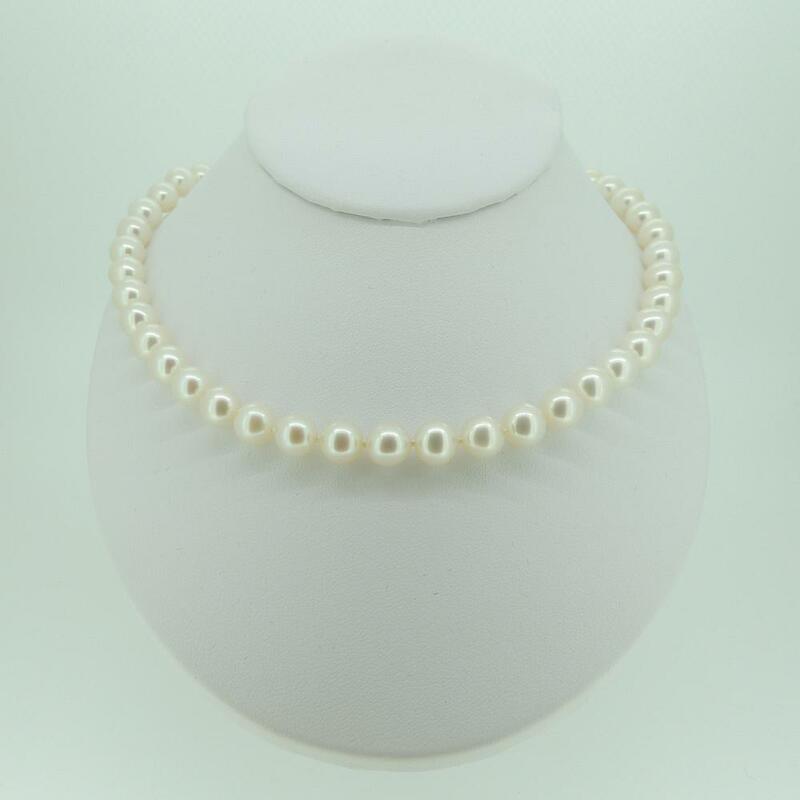 There is something classically beautiful about a white pearl necklace and this one sums up the charm of the pearl perfectly. 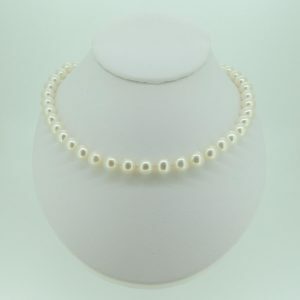 These cultured freshwater pearls, between 7- 7.5mm diametr, are strung on pure silk, knotted between each pearl. 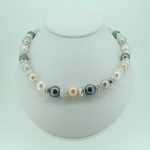 The necklace has an understated 14 carat white gold ball style clasp, with finishes it off to perfection. 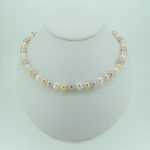 Throughout all the changes in fashion over the last centuries, the pearl necklace has held its place as one of the loveliest gifts a woman can receive and this necklace would give great pleasure no matter what the occasion might be.